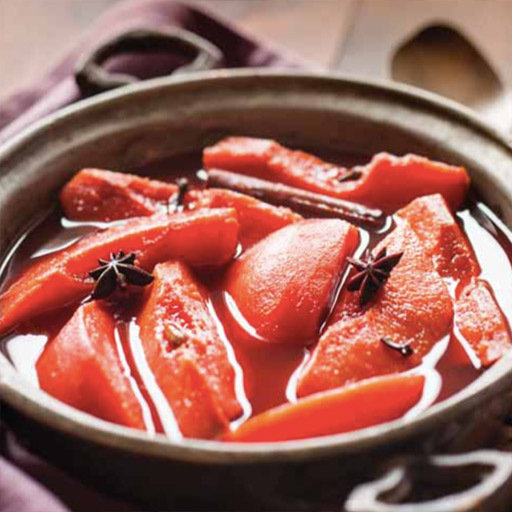 star anise Archives - Adelaide Central Market: The City of Adelaide's premier food destination. Over 70 traders under one roof. Preheat oven to 160°C (140°C fan-forced). 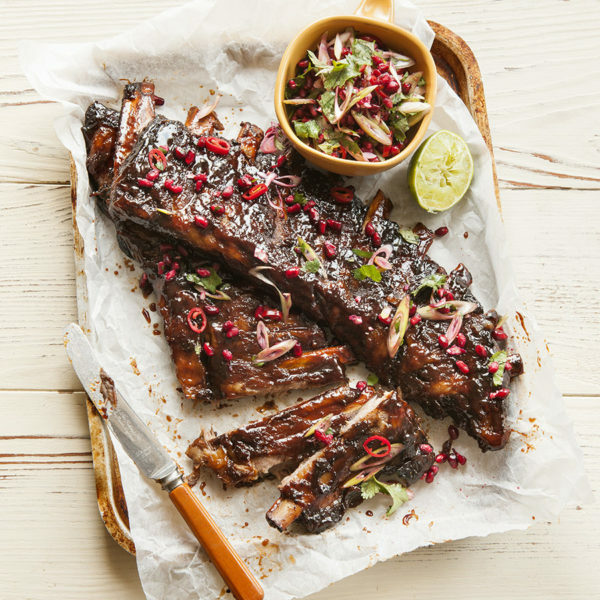 Place ribs in a large roasting pan, add juice, onion, ginger, star anise & coriander root. Tightly cover with foil & bake in preheated oven for 2 & 1/2 hours or until ribs are tender. Meanwhile, in a medium saucepan, combine all the ingredients for the sweet & sour sauce together over a medium-low heat. Bring to the boil & cook for 2 minutes. Remove from heat & allow to cool. Remove ribs from oven, drain off cooking liquid & remove aromatics. Turn the oven off. Pour the prepared sauce over the ribs, cover with foil & refrigerate for at least 2 hours. An hour before serving remove ribs from refrigerator, so they come up to room temperature. Heat oven to 220°C (200°C fan-forced). Place ribs in oven & cook for 30 minutes, turning after 15 minutes. For the salsa, combine all the ingredients together in a small serving bowl. 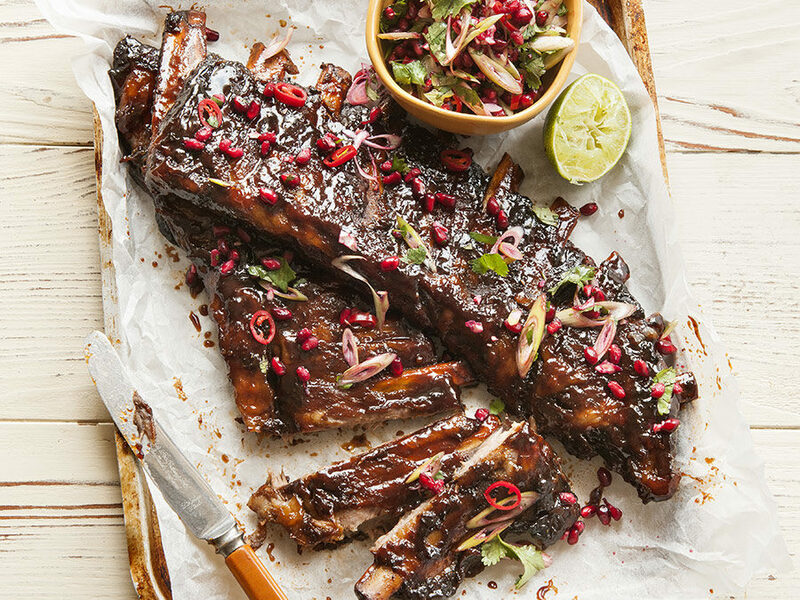 Serve ribs with salsa scattered over the top. Combine 1 cup fresh pomegranate juice with 1/2 cup caster sugar in a small saucepan over a low heat, stirring until sugar dissolves. Bring to the boil & cook for 2 minutes. Syrup is a great cordial, base for a cocktail, poured over fruit salad or served with waffles. Add seeds of a pomegranate to a green bean, snow pea, zucchini, mint & feta salad. Poach quinces or pears in pomegranate juice with spices like star anise, cinnamon, cloves & vanilla for a delicious alternative to red wine. Combine 1 cup fresh pomegranate juice with 1/2 cup caster sugar in a small saucepan over a low heat, stirring until sugar dissolves. Bring to the boil & cook for 2 minutes. Syrup is a great cordial, base for a cocktail, poured over fruit salad or served with waffles.